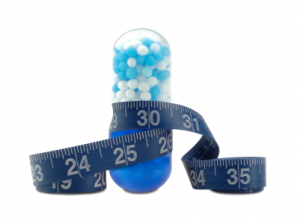 Phentermine (15mg,30mg,37.5mg) – Adipex-P, an appetite suppressant, may be prescribed for short-term use as part of an overall weight reduction program that also includes dieting, exercise, and counseling. The drug is for use only by excessively overweight individuals who have a condition—such as diabetes, high blood pressure, or high cholesterol—that could lead to serious medical problems. Tenuate (25mg,75mg) – is used along with a doctor-approved, reduced-calorie diet, exercise, and behavior change program to help you lose weight. It is used in people who are significantly overweight (obese) and have not been able to lose enough weight with diet and exercise alone. Losing weight and keeping it off can reduce the many health risks that come with obesity, including heart disease, diabetes, high blood pressure, and a shorter life. Phendimetrazine (35MG) – This medicine works by stimulating the central nervous system (nerves and brain), which increases your heart rate and blood pressure and decreases your appetite. It should be used, along with a healthy diet and exercise, for people who need medical intervention for severe obesity. Lipo-BC tablet – is a unique combination of vitamins that work synergistically and helps to combat “stress”. Although these vitamins are available in a wide variety of foods; they are light and heat sensitive and are depleted with poor food storage. Also, overcooking food and cooking with water leads to vitamin loss before ingestion. Consequently, this water-soluble vitamin group needs daily replenishing. Hydrochlorothiazide (Water Pill) – is a thiazide diuretic that helps prevent your body from absorbing too much salt, which can cause fluid retention. Hydrochlorothiazide treats fluid retention (edema) in people with congestive heart failure, cirrhosis of the liver, or kidney disorders, or edema caused by taking steroids or estrogen. This medication is also used to treat high blood pressure (hypertension). Hydrochlorothiazide may also be used for other purposes not listed in this medication guide. Probese – Probese is a natural weight loss supplement containing vitamins and minerals. This supplement helps to create a feeling of being full which will help curb your appetite. Best taken with water before eating. Probese will increase up to seven times its original size, which helps promote the full feeling. It stimulates fat burning hormones and increases your rate of metabolism, which helps in burning calories on your weight loss journey.